If you thought having your passport photos taken was daunting, think again. Finding someone to verify your passport photos can be a difficult task but with all the facts at your fingertips you shouldn’t have too many problems. Does my passport photo need verifying? If you’re applying for a first adult or child passport or a renewal for a child under the age of 11 you’ll need to have your passport photo signed and verified. This also applies if you need a replacement passport or your photo has changed beyond all recognition. If this is the case you need your photo countersigned by a professional person who should write ‘I certify that this is a true likeness of [title and full name of adult or child who is getting the passport]’ on the back along with their signature. Who can verify my passport photo? Can I ask my doctor? No you can’t, unless your doctor is also a personal friend. There are restrictions on who can verify your passport photos – for example, they can’t verify your photo if they work for the Passport Office. You can’t ask your husband or wife, or any relative by birth or marriage. And you can’t have your photo verified by your live-in partner or anyone who lives at the same address as you. What if I’m outside the UK? If you live in the UK then your passport picture can be verified by another UK citizen who holds a British or an Irish passport. However, if you’re not in the UK then they can also hold an EU, Commonwealth or US passport. However, if they’re a British passport holder then your application will get processed more quickly. 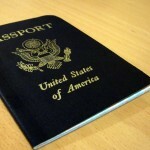 How can I get my passport pictures approved? At Paspic we have a 99.5% approval rate for our passport photos. So if you can find a professional person to verify your photos, we can help you get your passport photos approved first time.